The competing 4K-capable consoles PlayStation 4 Pro and Xbox One X are now out in the marketplace—but strangely enough, Bungie’s popular online shooter Destiny 2 has yet to take advantage of the hardware. 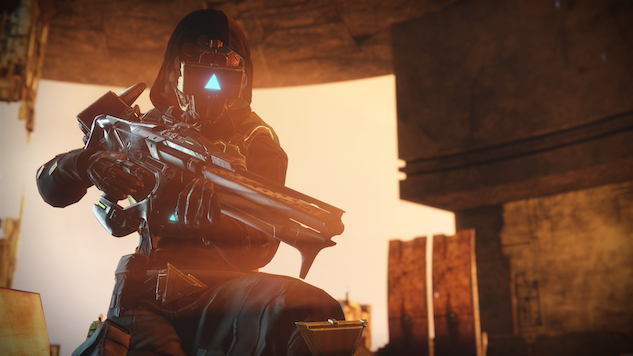 According to a blog post from the developer, an update providing support for 4K and HDR is coming to the game alongside the “Curse of Osiris” expansion. The blog post mainly emphasizes the addition of high dynamic range lighting, adding that players will see “adaptive 4K resolution on the PlayStation 4 Pro and 4K on the Xbox One X.” As the Xbox One X has a leg up on the PS4 Pro when it comes to horsepower, the former console is likely the only one out of the two that can run at native 4K without stopping—the latter will probably dynamically scale the resolution during gameplay. We’re willing to bet, however, that most casual consumers won’t be able to tell the difference anyway. But unlike the PC version of Destiny 2, neither console will come with updates to run the game in 60 frames-per-second. Bungie told Eurogamer back in May that the PS4 Pro isn’t powerful enough to run the game at that high a frame rate. However, even the original PlayStation 4 (through a firmware update) and the Xbox One S (but not the original model) are HDR-capable, as well. The “Curse of Osiris” expansion, Destiny 2’s “second season” of content and the 4K/HDR update will launch for the game on Dec. 5.